TAXIDERMY: Our business is located in central Virginia just 11 miles from Lynchburg. We do our very best to please our customers. We have taxidermy mounts displayed in our home, at a local sporting goods store, and in a nearby Walmart. We also have numerous customers who will be happy to provide you with references upon request. Our taxidermy work is our pride and joy and we have over 20 years of combined experience in the business. Our emphasis is on "quality, not quantity" and we put in as much time as needed to give you our very best. Please email with any questions and for our latest taxidermy price list. WOOD CARVINGS: Bruce is an award-winning wood carver and specializes in wildlife art. He can carve a custom relief carving on your gun stock or he can carve an "in the round" carving of any subject and to your specifications. Prices will vary according to the size and complexity of the item. Please email or call for more information. As you can see, we both love to hunt too. 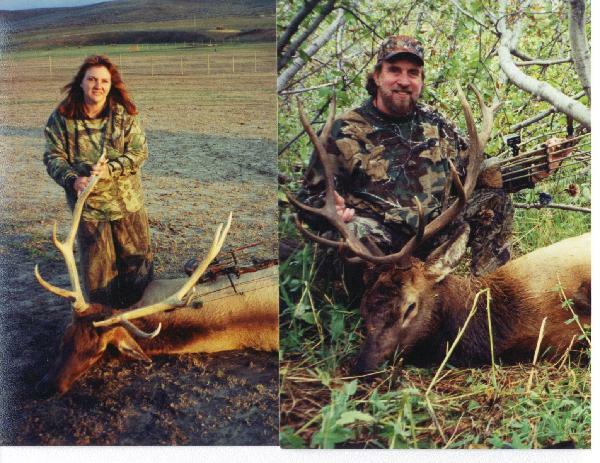 We had a very successful elk hunting vacation in Colorado in September 2002. Although Pat booked a hunt on a private ranch, Bruce arrowed his bull on public land in the national forest. 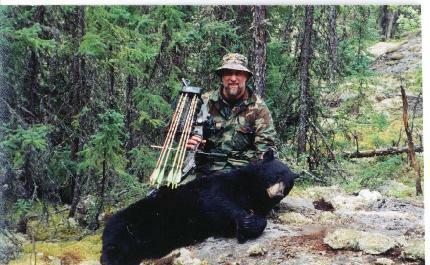 In June 2003, our friend Steve Rigney joined us to hunt bear in Canada & both Steve & Pat bagged nice bears. In August 2003, Bruce & Pat went on a hunting safari to South Africa & bagged 14 animals! In September 2003, Bruce arrowed a nice 6x6 Red Stag and a big 10 point SOLID WHITE Whitetail in New Bloomfield, Pa with Trophy Quest Outfitters. Then, in February 2004, we both arrowed nice rams. 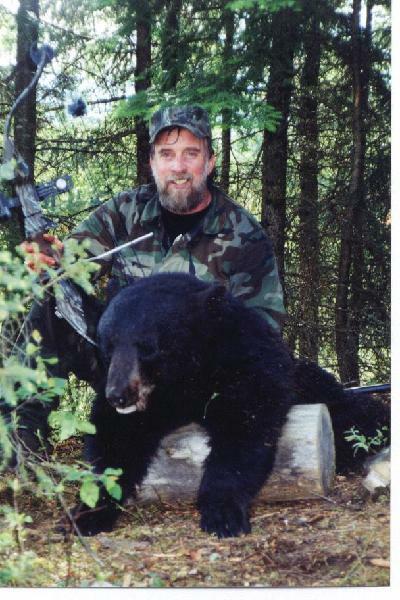 In June 2004, Bruce arrowed a nice black bear in Idaho & in October 2004, Pat finally managed to arrow a "wallhanger" - a HUGE 11 pt whitetail buck in Pennsylvania. Why not join us on our next big hunting trip? Alaska?!? !